LAKEWOOD, NEW JERSEY, UNITED STATES OF AMERICA, December 20, 2018 /EINPresswire.com/ — Does finding a person’s true purpose mean one needs to align it with what he does every single day? 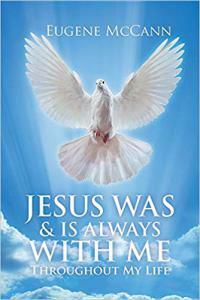 Eugene McCann’s book entitled Jesus Was & Is Always with Me: Throughout My Life is an edifying source about making it through life’s battles. Everything happens for a reason – the good ones and the bad ones are a necessity in finding value in everything. People come from different walks in life, some are lucky enough to have the stars aligned for them as they take the journey in finding their true purpose, while others are hardly making daily – but everyone can definitely move mountains as long as they take responsibility in everything that they do. McCann imparts his story to the readers with the hopes of helping them gain the courage to go on and continue with life. By using their God-given gift, they can challenge the meaning of life until finally gets to find it – unexpectedly. The author invites everyone to read the compelling journey towards Jesus – as the walk towards him is the truest purpose.